I absolutely love lighter life have lost 3 1/2 sone, recommended it to friends and family and probably introduced at least 6 takers to it. I recently joined an on line group and although internet savvy did not see the bit about Lighter Life will take £60 every month - I thought it was a one off payment for one month and as I do not have too much to lose - that was for me. 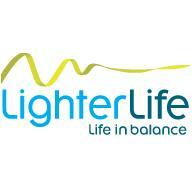 Lighter life has continued to take the £60 - I have asked for a refund of the two minths taken without my permission but got dismissed abruptly and was told it was very clear that it says we take ithe payment indefinitely. group - the direct debit continues for ever. Sorry to complain about such a great company.